Chest presses are probably a staple of your gym routine. They’re perfectly respectable for building strength but not all that dynamic, since your body weight is entirely stable and supported by a bench. Now, do that same move on a foam roller and it becomes a super-challenging, total-body move. 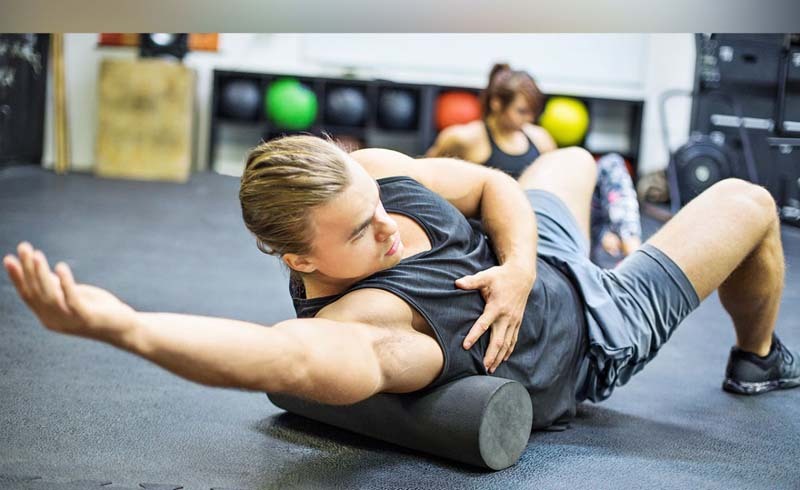 “The foam roller chest press is an anti-rotational exercise—the kind that forces the muscles in your core to fire,” says Joel Seedman, a neuromuscular physiologist and athletic-performance specialist in Atlanta. Anti-rotational exercises are great for athletes (boxers, golfers, tennis players) who derive power through core rotation. This kind of strength is useful if you’re simply taking down a cast-iron pan from a high shelf. In this move, when you’re pushing with the right arm, the ab muscles on your left are working like crazy to stop you from rolling onto the floor. Since you’re already on the floor, do a total-body foam roll at the end. You’ll need it. 1. 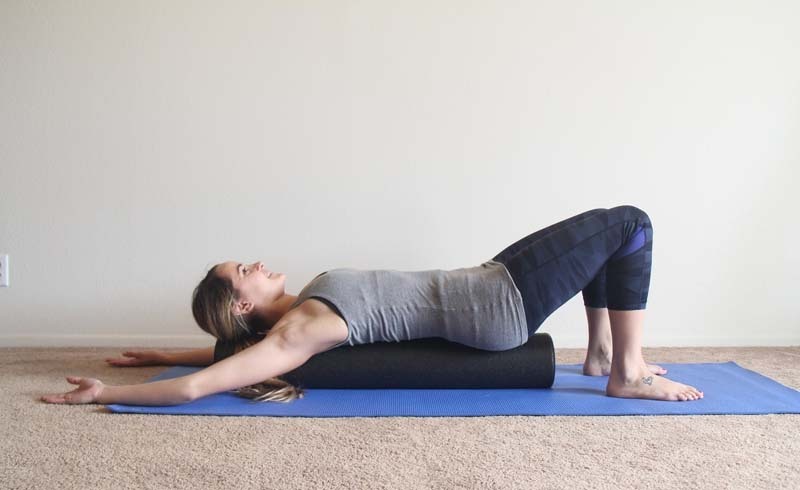 Lie on a foam roller so it’s along spine, hips high, feet under knees and wider than hip-width apart. 2. Have a friend place kettlebell or dumbbell in right hand. Extend left hand out to the side for balance, and press weight up while maintaining hip position, then return to start for one rep. Each rep should take you twice as long as a traditional press. 3. Start with sets of 4 reps per side, working up to 8 reps. Complete all reps on right side, then switch to left side. Rest 2 minutes between sets.